45 species of non-flying mammals. 48 species of freshwater fish. Many rare and threatened species can be found in our area. Having an abundance of wildlife around us is a special thing but also increases the likelihood of finding injured wildlife. Northern Rivers Wildlife Carers. 24-hour rescue hotline 6628 1866. WIRES Northern Rivers (Wildlife Information and Rescue Emergency Service). Emergency hotline 6628 1898. 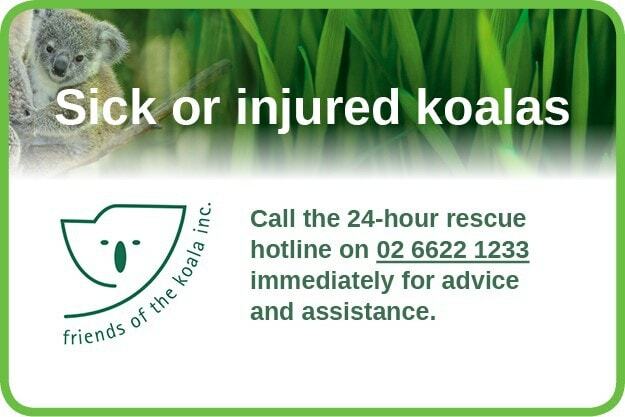 If you find an injured koala, you should contact Friends of the Koala's rescue hotline 6622 1233. Lismore and the surrounding area is blessed with a higher than average population of koalas including a significant urban koala population in south-east Lismore. Koalas feed predominantly on eucalyptus leaves and an abundance of appropriate food tree species is essential for the wellbeing of our local koala populations. Koalas are under considerable threat from rapidly expanding urban centres and infrastructure that threaten their habitat. In NSW it has been estimated that less than 15,000 individuals remain. 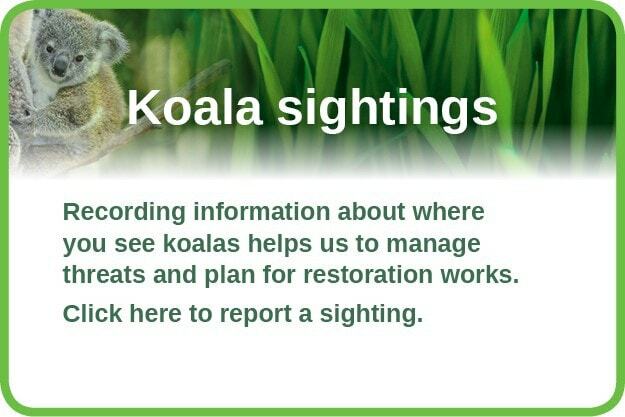 Within NSW, koalas are recognised as ‘vulnerable’ under the Threatened Species Conservation Act 1995. 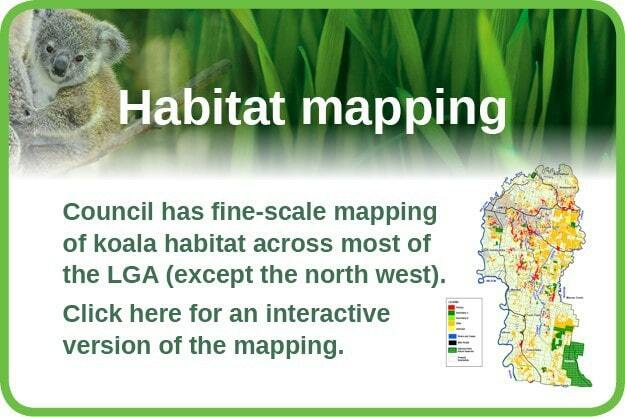 Planting koala habitat in priority locations. Removing environmental weeds to improve existing koala habitat. Developing a roadkill strategy to address the threat of vehicles to koalas. Partnering with Friends of the Koala to establish koala feed tree plantations for koalas in care. Working with Friends of the Koala and other local Councils to implement the FOK regional koala communication strategy.